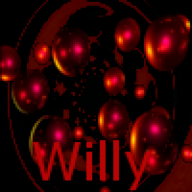 There are no messages on Willy's profile yet. Im sorry, but whenever some one comes in and posts 3-5 posts without introducing themself and sorta just jump into the topics i imidiatly(?) think they are a bot.